The Entra Access Switch is a remote cloud managed, 8 port x 10 GbE weatherproof switch capable of supporting Carrier Ethernet services in almost any deployment environment. It is designed to extend the capacity of networks with insufficient fibers while minimizing the use of expensive DWDM optics. Capital expenditure costs are significantly reduced for: short run fiber extension, deep fiber distributed access deployments and business services extension. Support for IEEE 1588v2* timing provides capability for mobile network backhaul as well as DOCSIS 3.1 distributed access aggregation. 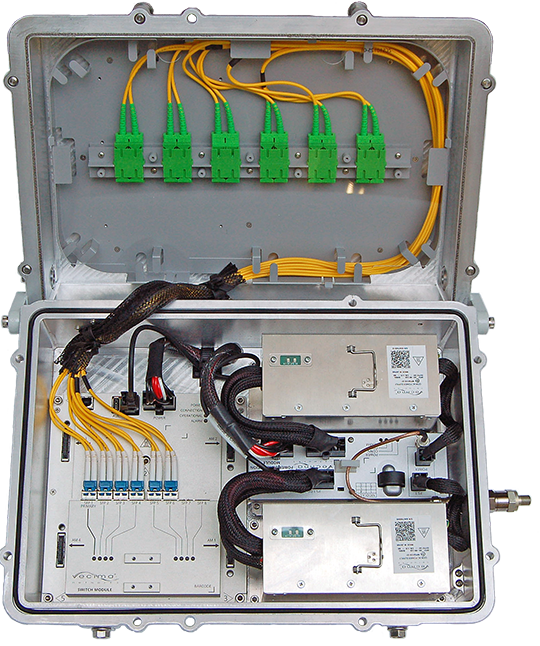 The Entra Access Switch will ensure maximum ROI from your existing short and long range fiber links.